Within five years, those same individuals said, they would expect to slot computer and tech skills at the top of the list, followed by critical thinking, the ability to keep learning, multi-tasking skills and effective communication. The survey found that most employers (73 percent) find it difficult to identify qualified candidates, although just a third blame schools that have "not properly prepared students for jobs." Ironically, the training programs run by these same companies aren't practicing what they preach. While four in five respondents (81 percent) said their staff development focused on specific job training, just half offered interpersonal skills training. The surveying was done online during the fall of 2018, on behalf of Cengage, a digital curriculum company serving higher education, by Morning Consult. Students also weighed in. 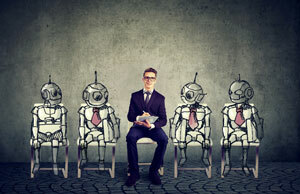 In a separate survey of 1,050 current students and 514 former students, most expressed pessimism regarding their job prospects compared to their parents' generation, and one in four said they were concerned that technology would replace all jobs. Yet, as they head into the workforce, they get slightly more hopeful. While 28 percent of Generation Z students (those born in 1995 or later) said they felt that automation and technology would replace all jobs that could previously be done only by humans, just 20 percent of graduates said the same. However, what worries students the most is gaining the skills they need for work, expressed by 77 percent of respondents. One in three students said they believe their education has not adequately prepared them for the workplace. "These results show that we must not underestimate the power of the people factor in the workforce. Technology and automation will continue to change and replace jobs, but there are skills that cannot be automated, such as the ability to think critically or problem solve," said Michael Hansen, CEO of Cengage, in a statement. "There is a need for more soft skills training, both in college and on the job, and today's learners and graduates must continue to hone their skills to stay ahead." The survey project concluded that while students are concerned about tech replacing jobs, what they should really focus on is "honing uniquely human skills." One recommendation: for schools and educators to expand teaching beyond technical and hard skills and place emphasis on human skills too. An e-book with partial results is openly available through the Cengage website, along with an infographic on the importance of critical thinking.